Fighting Antimicrobial Resistance is a core activity within ESCMID. Here you can get an overview on larger ESCMID Initiatives in this field. ESCMID initiatives on AMR on EAAD, WAAW and throughout the year! At the occasion of World Antibiotic Awareness Week from 13 – 19 November and European Antibiotic Awareness Day 18 November several players within the ESCMID network organize a number of activities to promote prudent use of antibiotics in Europe. They include events at healthcare institutions and public campaigns on antimicrobial resistance (AMR), surveillance and antibiotic stewardship programmes. 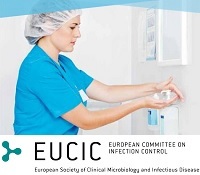 The European Committee for Infection Control (EUCIC) is organizing a training module for an Infection Prevention and Control Certificate, which aims to provide a unique European perspective on infection prevention and control. It does this by sharing the expertise and competencies within training centres, countries and professions. This collaborative effort will result in the training of a new generation of IPC specialists. For more information, please refer to EUCIC training programme website, where you can find the flyer and details about the current training programme. ESCMID’s study group for antimicrobial stewardship, ESGAP, together with the Turkish Society of Clinical Microbiology and Infectious Diseases, KLIMIK, organized a postgraduate course on antimicrobial policies. Intersectoral residents and specialists interested in antimicrobial stewardship will get an overview of antimicrobial resistance, consumption surveillance as well as the implementation and integration of antimicrobial stewardship strategies and programmes. Several ESCMID representatives contributed to a new report published by WHO, which found very few potential treatment options for the most threatening antibiotic-resistant infections. The core report is complemented by an updated document describing their priority pathogen list. The American Society for Microbiology (ASM) and ESCMID organized a multidisciplinary meeting to address the challenges, opportunities and current requirements for antimicrobial drug development to tackle antimicrobial drug resistance. The presentations from the conference, which took place from 6 - 8 September 2017 in Boston, are available in ESCMID’s eLibrary now. At the occasion of World Antibiotic Awareness Week from 14 - 20 November and European Antibiotic Awareness Day 18 November the European Committee on Infection Control (EUCIC) and the ESCMID Study Group for Antibiotic Policies (ESGAP) organize a number of activities to promote prudent use of antibiotics in Europe. They include events at healthcare institutions and public campaigns on antimicrobial resistance (AMR), surveillance and antibiotic stewardship programmes in Moldova, Turkey, Spain, Cyprus and the Netherlands. The ESCMID/ASM Conference on Drug Development to Meet the Challenge of Antimicrobial Resistance has come to a close in Vienna, Austria. The conference addressed issues such as the reliance on very robust preclinical studies, innovative clinical trial design, strong academic-industrial partnerships, and a requirement for early engagement with regulatory bodies in order to facilitate the processes for accelerated antimicrobial development. You may find more information on the presentations in the ESCMID eLibrary and a press release summarizing the highlights. ESGAP – The ESCMID Study Group for Antibiotic Policies has conducted the project New Life for Old Antibiotics, jointly with ESCMID’s PK/PD of Anti-Infectives Study Group (EPASG) , and have presented the results at an ESCMID Conference to this topic resulting in several publications (Link to conference website for all information). A dedicated website set up by these two groups hosts more background information on the same topic. ESGARS – The ESCMID Study Group for Antimicrobial Resistance Surveillance is currently running the CAESAR project together with WHO-Europe and RIVM (NL) to set up an antimicrobial resistance surveillance system in European countries not formally taking part in EARS-Net. ESGNI – The ESCMID Study Group for Nosocomial Infections is currently involved in the ECDC project TRICE for training in infection prevention and control to ultimately curb spread of antimicrobial resistance. On the same topic, the group runs an annual training course. ESCMID was partner in "Translational Research on Combating Antimicrobial Resistance" (TROCAR), which was a research project funded by the Seventh Framework Programme of the European Commission (2009-2012). The driving concept of TROCAR was to investigate the fundamentals of the epidemiology of new highly virulent multiresistant strains. ESCMID was partner in "Genomics to Combat Resistance against Antibiotics in Community-acquired LRTI in Europe" (GRACE), which was a network of excellence devoted to tackling the increasing problem of resistance to antibiotics when dealing with lower respiratory tract infections, such as bronchitis or pneumonia. This research project was funded by the Sixth Framework Programme of the European Commission (2006-2011). The European Committee on Antimicrobial Susceptibility Testing, jointly organized by ESCMID and ECDC, is responsible for determining breakpoints for bacteria and fungi for existing and new antimicrobial agents. The European Committee on Infection Control (EUCIC) aims to strengthen infection control and preventive measures in European countries to reduce the burden of healthcare-associated infections (HAIs). ESCMID organizes the top congress in clinical microbiology, infectious disease and infection control. ECCMID provides 12,000 specialists with a platform for knowledge exchange, coordination of initiatives and building, maintaining and expanding networks in the fight against antimicrobial resistance.